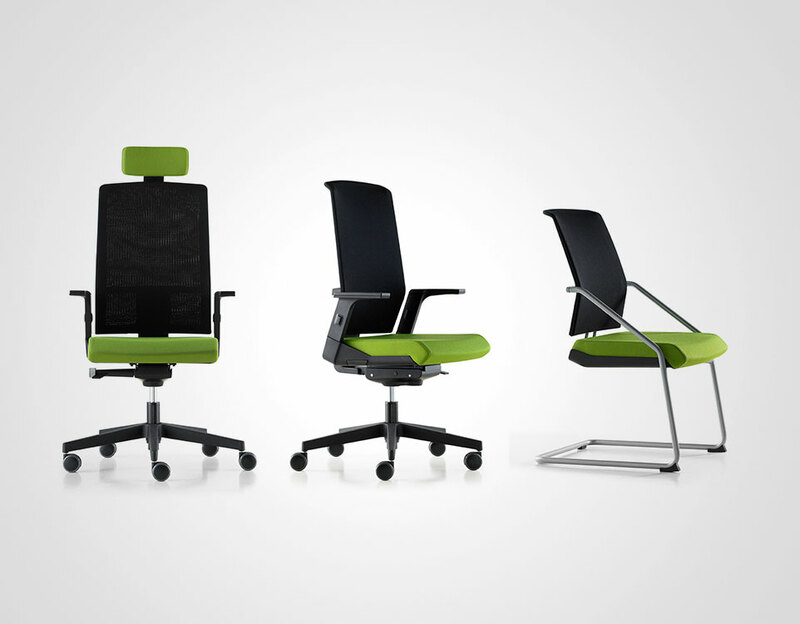 The collection of office chairs made for SOKOA. The starting point was the creation followed by the technical monitoring among the various participants until the moulds and final parts emerged. A big industrial project, because producing 25 moulds for the different parts of this chair called for a considerable capital investment. TELA proposes two ranges in one. This chair was designed with a single back. It can be upholstered or covered with netting. It received the 2007 TADI (Trophées Aquitains de Design Industriel) award in the Eco-design section. The creative work and technical decisions were done according to a strict eco-design grid.